Holt is situated just 3 miles from the lovely north Norfolk Coast. A former market town, it’s described as a miniature Georgian town which enjoys a particularly attractive rural setting. The town has long associations with Gresham’s School. With over 200 independent town centre shops and numerous shopping courtyards it’s a very popular tourist destination. 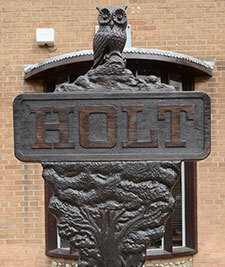 Holt is an ideal base from which to explore the surrounding countryside and the beauty of the north Norfolk coastline. New date for Annual Towns Meeting.